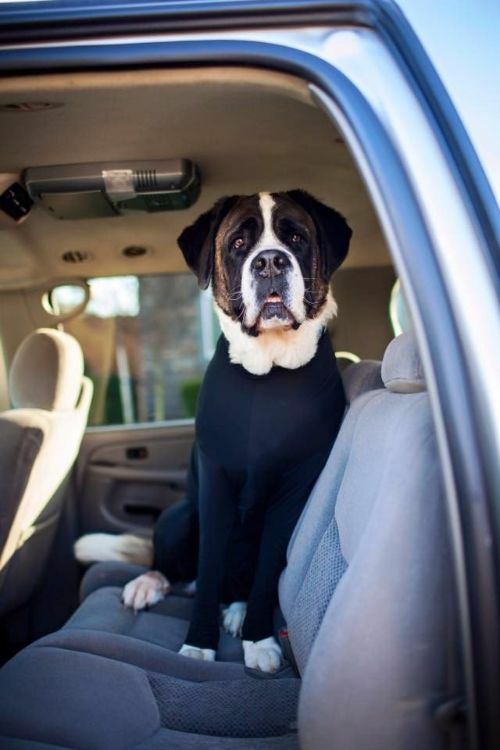 When Tyson Walters, owner of the Saint Bernard “Harley,” took his giant furbaby for a ride in his car, it was as if a storm of hair in blizzard proportions happened. The dog’s hair was everywhere, and it attached itself to the fabric on the seats and refused to come off. "She would shake and the hair would just explode off her and disperse all throughout the car. 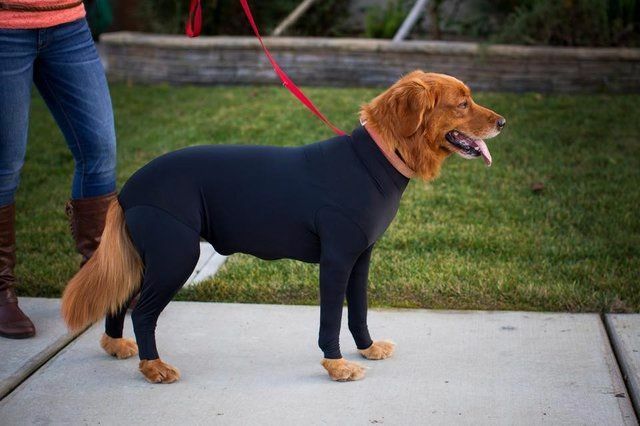 I looked around on the internet and dog stores, but I couldn't find a solution. So I decided to make one." That’s when he invented Shed Defender. 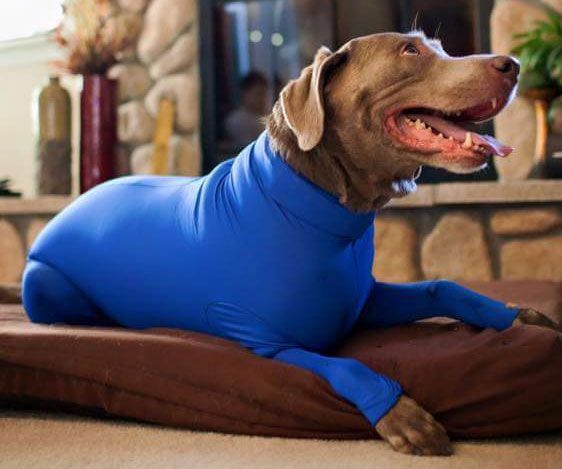 After making the first leotard for his own dog, Walters thought that other people could benefit from his idea as well. 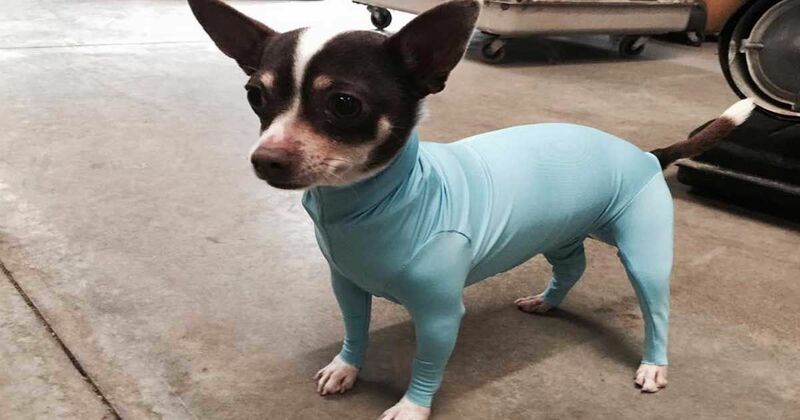 And now, leotards on dogs are not an uncommon sight as the phenomenon makes its way across the country. 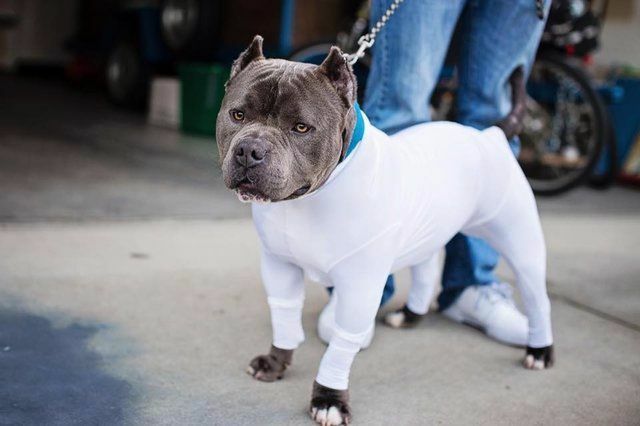 Of course, there is also the advantage that the dogs dressed up like superheroes just look really cute, too. 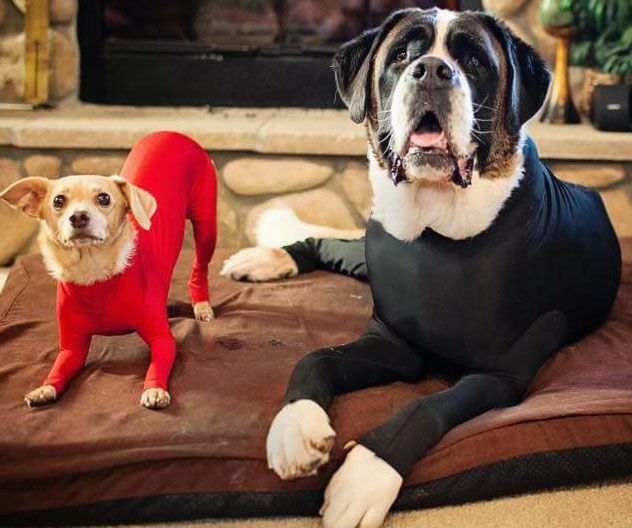 From tiny Chihuahuas to giant Saint Bernards, people take a second gander when the dogs are wearing leotards. Although the Shed Defender doesn't stop shedding, it is a great way to temporarily get a handle on hair flying in all directions. "People love the idea. They love the look. It is a head turner," Walters said. "People always take pics of Harley when she's wearing hers, and they ask where they can get one. Hot pink is one of our hottest selling colors. 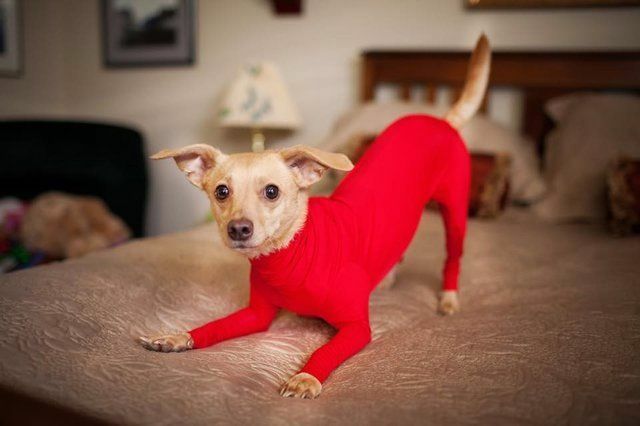 It's fashionable!" But looking cute is only one of the benefits of the Shed Defender. 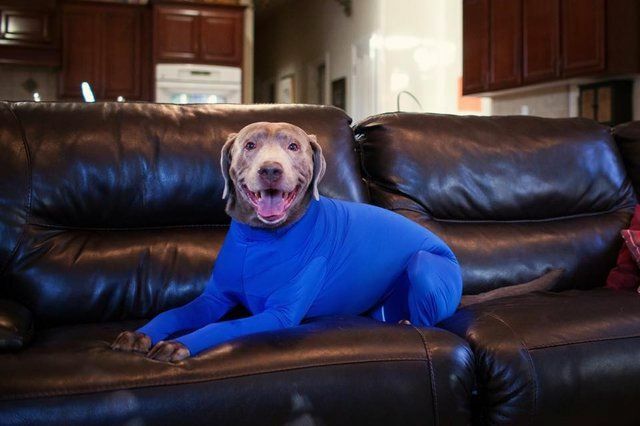 When an allergy-prone friend drops by, the leotard keeps hair and dander down to a minimum. 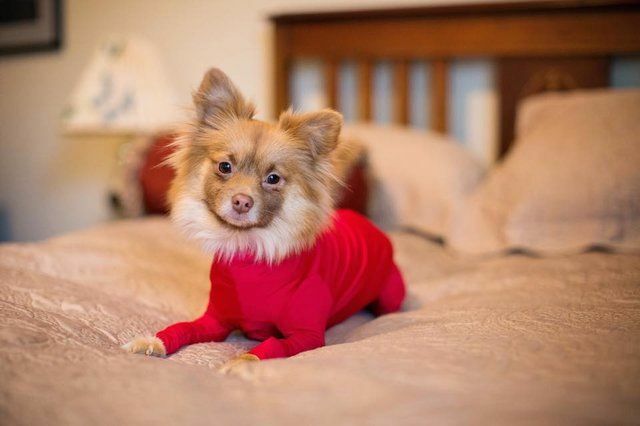 It’s a great way to keep the dog’s coat clean when he’s outside, and it helps keep him warm in cold weather. Some dogs appreciate being wrapped snuggly when a storm produces lightning and thunder, and the Shed Defender can fulfill that need, too. Still, Walters reminds people that the Shed Defender should only be worn for short periods of time. When you take it off again, it’s important to brush your four-footed buddy’s coat. 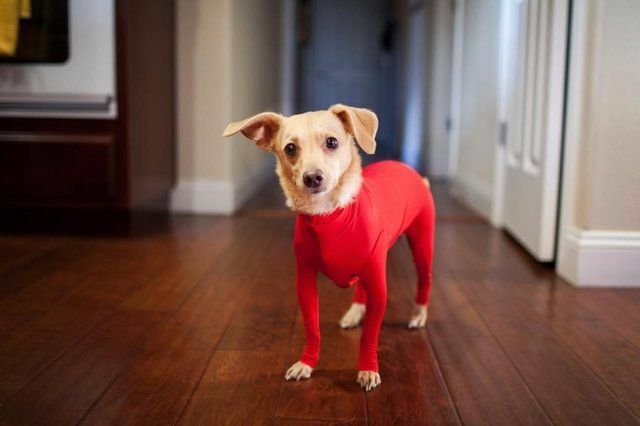 The close-fitting garment is easy to take off and put on, too. Another plus is when there are stitches or skin disturbances that need to stay covered. 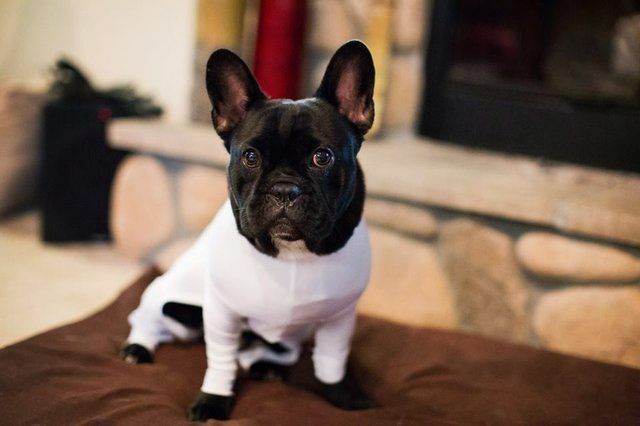 No more "cones of shame," either! 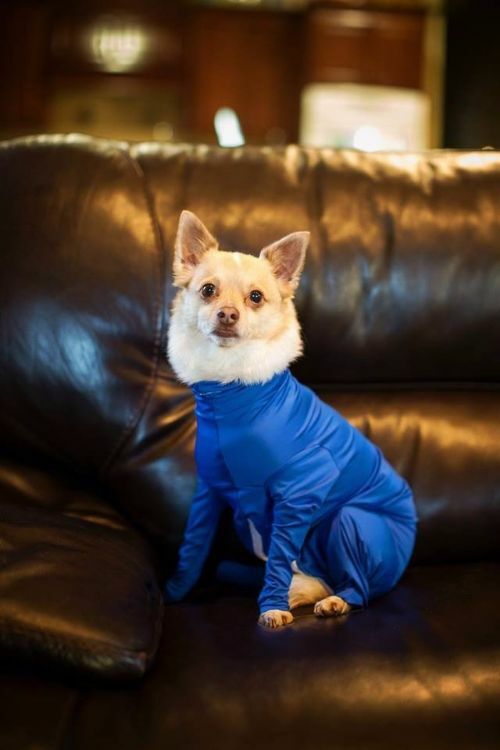 What do you think about dogs in leotards? Yay or nay? Share this story with your friends and see what they think.